Good afternoon everyone and Happy International Women's Day! Today we are celebrating the social, economic, cultural and political achievements of women around the world. Our team at The Behar Group Realty, wanted to take a moment to highlight leaders in the Canadian commercial real estate industry as well! The United Nations recognized 1975 as International Women's Year and began celebrating IWD on March 8, later adopting a resolution designating March 8 as International Women's Day. Today: International Women's Day is celebrated around the world – in many countries, it is a national holiday. It has grown to become a global day of recognition of women's achievements and a call to action to support women's rights and advance gender equality. Natalie is a leader in the field of Canadian commercial leasing lawyers. In January, 1995 Natalie co-founded the firm of Daoust Vukovich LLP. She has been named in Lexpert's Guide to the Leading 500 Lawyers in Canada every year since it was first published. She’s proud that her firm has grown naturally, in response to demand, over the past 24 years. They have an office of 40 people, including 10 leasing lawyers, four litigation lawyers, three real estate lawyers, seven paralegals and one student. The next generation of leaders have already been identified, with four young partners in their 30’s and 40’s who are ready to take over, as the elder generation retires over the next decade. The male-female ratio is actually female-dominant. Their leadership ranks are 50-50 and the rest of the crew is predominantly female. Natalie practises exclusively in the area of commercial (office, retail and industrial) property leasing. She is fully conversant with all types of commercial lease-related transactions and her practice is balanced between representing landlords and tenants. Natalie is also an active member of the International Council of Shopping Centers. She co-chaired the ICSC's 1994 and 1995 Annual Canadian Law Conferences. Natalie was Co-Chair of the inaugural (2002) Real Leasing conference now held annually in Toronto. She has written for many publications and has lectured at numerous conferences hosted by The Law Society of Upper Canada, REALPac, NAIOP (Toronto Chapter), ICSC, Georgetown University Law Center's Advanced Commercial Leasing Institute, The Canadian Bar Association (Ontario), and other seminar providers. Sharon Cooper has a wealth of experience in urban retail leasing and infill land/investment property sales. For the last 10+ years she has focused on the brokerage side using her fresh outlook on real estate and trend forecasting to expose up and coming areas as retail locations for investors and tenants as well as uncovering sites for mixed use developments. One of her biggest accomplishments was recommending a building at Portland and King to a restaurant client – this sale transformed a derelict building into the highly successful and award-winning Gusto 101. With an education from the University of Western Ontario and a background in marketing and advertising, Sharon applies her skills and experience to increase leasing revenues for landlords and fills long vacant spaces with best in class tenancies. 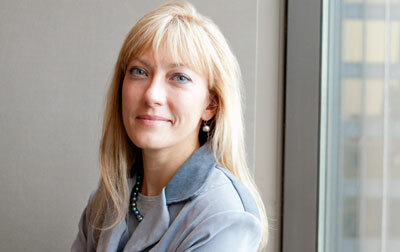 Sharon is currently an active member of ULI Toronto and a Board Director for Skin Cancer Canada. Christina is a Partner in the Commercial Leasing Group at Minden Gross LLP specializing in all aspects of commercial leasing (including retail, office, and industrial) and related practice areas including development agreements for rooftop solar leases/licenses, telecommunications license agreements, and tenancy matters. Christina is ecognized by Best Lawyers in Canada and the Canadian Legal Lexpert Directory as one of Canada's leading lawyers in the area of Property Leasing Law. Christina has expertise in sophisticated and volume leasing for major developers, and in managing and coordinating major lease-related projects, including due diligence lease reviews on behalf of purchasers and lenders and in sale/leaseback transactions. She has the distinct pleasure of acting for national property managers, international retailers, national banks, developers, landlords, tenants, franchisors, and franchisees. Christina is passionate about the CREW Network Foundation, the philanthropic arm of CREW Network. It is the only foundation in North America that dedicates its resources solely towards advancing women in the commercial real estate industry. After her two-year tenure (2015-2016) on the leadership of the CREW Network Foundation as a Champion Director; she is now pleased to be on the (Canadian) sub-committee for 2017-2018. With 30+ years of experience in the retail marketplace, Megan McGowan is a retail real estate consulting and leasing professional dedicated to increasing cash flow and asset value for her clients. Megan has created various strategies for and actively led the successful lease-up of many shopping centres and retail components of mixed use properties in re-development situations or normalized, ongoing leasing programs. Her clients have included landlords and developers (Canadian Tire, Crombie REIT, Westmont Hospitality/Fairmont Hotels, Northam Realty, Brad-Jay Investments/Southdown Builders, and Build Toronto) who she assists to maximize the financial potential and the merchandising profile of their projects. Megan is bilingual (English/French), has a Bachelor of Arts from McMaster University, is a licensed real estate professional with the Real Estate Council of Ontario, and holds memberships with the International Council of Shopping Centres (ICSC) and Toronto Commercial Real Estate Women (CREW). She has acted as a speaker at the ICSC Law Conference, MMPI’s Real Leasing Conference, IDEX Neocon, and on various special panels for ICSC and Toronto CREW where she took on the role of President in 2011-12. Sheila led Deloitte’s own corporate real estate strategy and implementation program across Canada including the almost 2 millionsf portfolio including Toronto’s Bay Adelaide East tower, Montreal’s Deloitte Tower and others including St John’s, Sherbrooke, Ottawa, Winnipeg, Regina, Calgary and Langley. 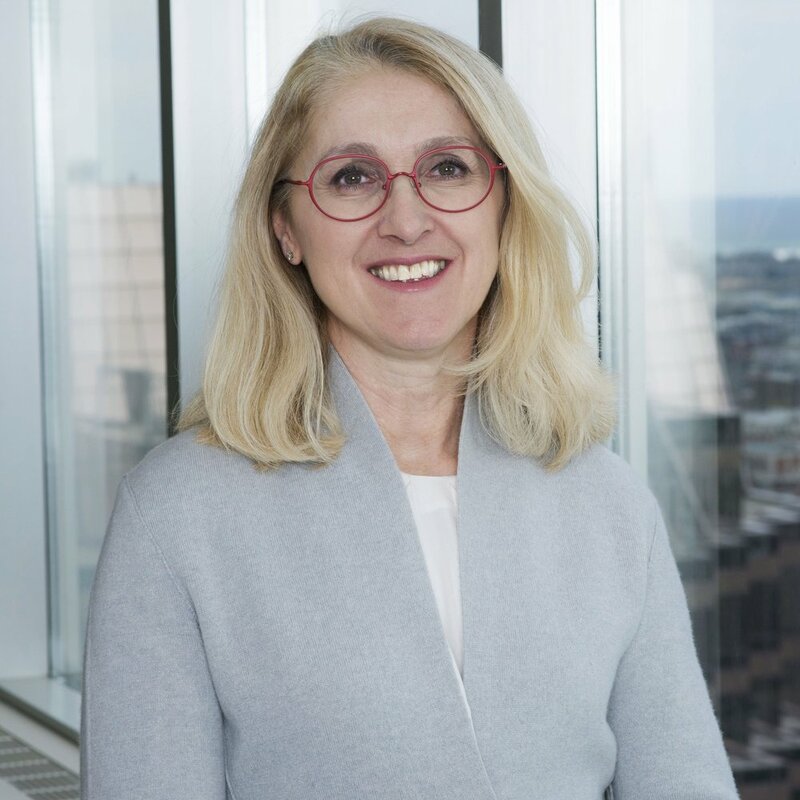 Her vision and expertise have helped Deloitte to transform its “Workplace ofthe Future”, resulting in significant workplace improvements, productivity gains and cost savings across Canada. In 2016, Toronto Life named Deloitte Tower Toronto as the “best new office workplace”. As a result, many of our clients have engaged Sheila and her team to transform their own offices and investigate the corporate real estate operating models. •Awards including the CREW Network Global Most Distinguished Women Award (2017), WXN’s Top 100 Most Powerful Woman Award, and Toronto Junior League’s Women at the Top Award. Sheila is married with three children, and lives in Burlington, Ontario. Barbara was raised in Montreal and moved to Toronto to pursue a career in the hotel and restaurant industries. Since graduating in 1987 from the Hospitality and Tourism Management program at Ryerson University, she has developed a strong background working in quick-service restaurants, from serving as Director of Operations for Subway, to selling franchises and securing and negotiating real estate for Mr. Sub. In 2005, she sold off company stores for Pizza Hut, ultimately pursuing a real estate license and working with PMG Realty Corp. for six years. Barbara joined The Behar Group in September of 2011 as a sales representative, and is currently active in many facets of commercial real estate, from acquisitions, leasing, and tenant mandates, to development and franchise opportunities. For more than 20 years, Andrea has been helping organizations adopt new ways of working. Her global expertise includes strategic real estate portfolio advisory, workplace strategy, change management, training, research, and leadership. She has an in-depth knowledge of the corporate sector and is considered a Subject Matter Expert in Workplace Strategy and Change Management. Andrea is frequently asked to speak on topics relating to corporate alignment, employee performance, workplace behaviours, client relationship management and the drivers for change in the corporate real estate marketplace. Having worked for a Canadian financial institution as well as serving many years on the service provider side, Andrea takes a very thorough approach with each client challenge taking complex problems and translating them into manageable and achievable solutions. Andrea has been a contributor to many industry periodicals on Real Estate and Workplace Strategy. A graduate of the University of Western Ontario in Industrial/Organizational Behaviour, she has furthered her education in behavioural studies with a graduate certificate in Leadership and Corporate Strategy and a MBA from the Australian Institute of Business; the MCR, MCR.w and SLCR from CoreNet Global. Andrea is a full-time faculty member for CoreNet Global and teaches MCR designation courses across North America. She is a former board committee member of IFMA’s WE program, serving as the Academic Liaison for 3 years and is an active member of NAIOP, serving as Chair of the REX Awards Committee. Jeanine McLaughlin’s extensive real estate background goes back over 30 years and includes her position as Vice President of Leasing and Development for Euromart Management Group until 1998. Jeanine has since operated as a Real Estate Broker with expertise in Commercial Leasing and Sales and Business Sales and Franchising. Do you have a name you'd like us to include on our list? Tweet at us @thebehargroup. Don't forget to include today's official hashtag, #IWD2018!